Headaches are one of three conditions that respond most consistently to the "Upper Cervical" procedure performed at Chiropractic Saint Louis. Unfortunately, patients are often unaware that chronic headaches can develop as a result of spinal misalignment. They seek other forms of relief, but aren't satisfied with the results. Here's the scenario I see most frequently: A patient begins suffering from chronic headaches. Daily, weekly, or throughout the month, a specific type of ache or pain develops in or around the head. They call their primary care physician who appropriately refers them to a neurologist. The patient undergoes a battery of tests, and if no obvious cause is identified, they're sent home with anywhere from 1-3 prescriptions: Muscle relaxers, pain relievers, and/or anti-anxiety meds. "This could help" or "Let's see if this works" is what they're told... occasionally followed by, "Try meeting with a physical therapist." Some patients accept this course of treatment. Others are concerned that the cause hasn't been found; they want more answers. That's usually how they find their way to my office. They bring me their MRI and CT results. They show me the list of medications they've been given. They explain that the physical therapist was really nice, but didn't quite address the frequency or intensity of their headaches. That's when we perform an Upper Cervical evaluation, using components they've not yet seen. Computerized thermal imaging, motion palpation, and other neurological testing can provide new insight they never received. We then perform a unique type of X-ray imaging that evaluates the relationship between the head and neck. (Read more about it here). In many cases, we're able to identify a unique misalignment that's often (but not always) due to a previous injury or repetitive habit. We begin a very conservative course of treatment, coupled with a headache tracking system to evaluate progress. 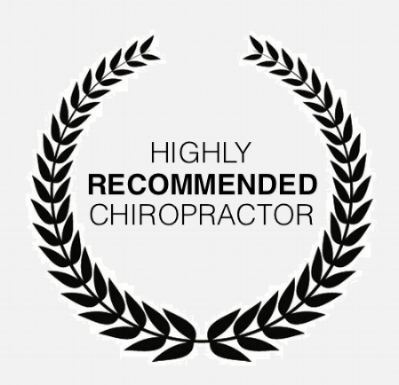 Much to their satisfaction, patient's begin to recognize a connection between their neck alignment and the frequency of their headaches. If you're a St Louis area resident suffering from chronic headaches, consider meeting with me to receive a thorough evaluation. Click here to learn more about Upper Cervical Care.